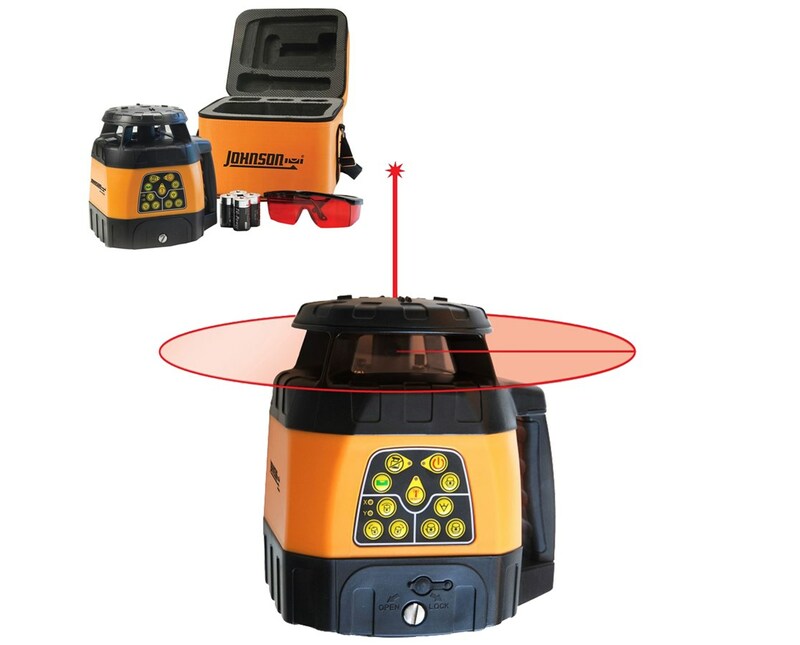 Perfect for indoor and outdoor applications, the Johnson 40-6526 Electronic Self-Leveling Rotary Laser can operate with an interior range of up to 200 feet and an exterior range of up to 1,500 feet with a laser receiver. 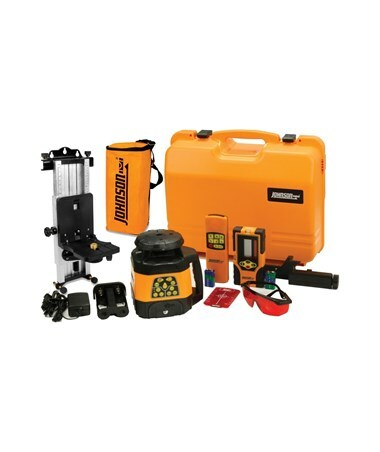 Electronically self-leveling within ±5 degrees, this rotary laser is great for leveling, checking cut and fill, septic tank and base excavations, contour framing, drainage, and wall retaining. Also, it offers an accuracy of up to ±1/8 inch at 100 feet. 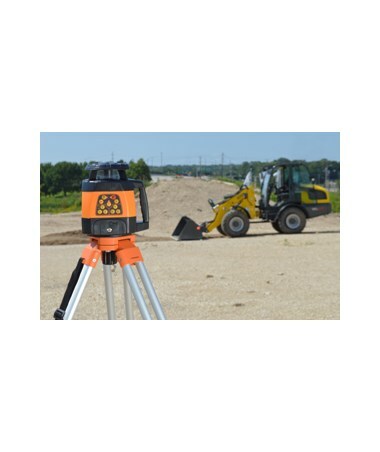 Featuring electronically-controlled dual slope feature, this Johnson rotary laser level self-levels in both horizontal and vertical planes. Also, it comes with a ±5-degree slope. 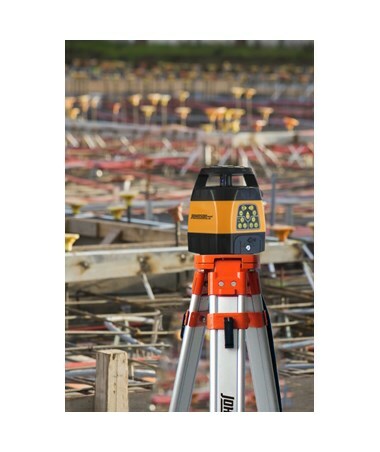 Featuring two rotation speeds, this construction laser offers three scan angles of 0, 30 and 60 degrees. 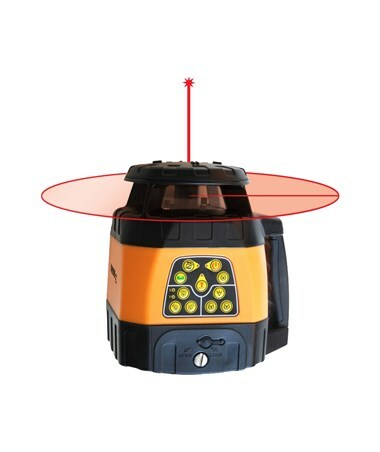 To ensure accuracy and reliability, it comes with a tilt-alarm function and visual and audible alarms. 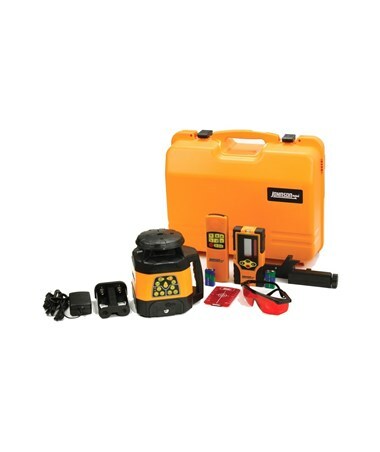 This self-leveling laser is dustproof and water resistant with its IP54 environmental rating. Using powerful batteries, it can run up to 24 hours with NiMH rechargeable batteries and up to 40 hours with alkaline batteries. In addition, it features a 5/8-11 screw thread for an easy tripod attachment. 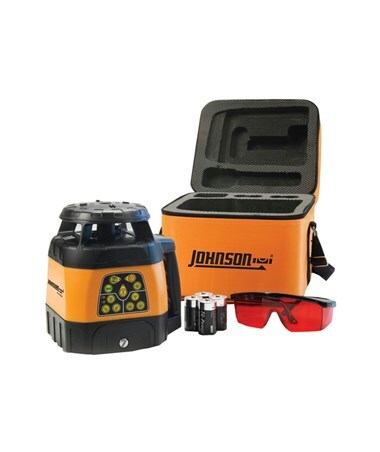 The Johnson 40-6526 Electronic Self-Leveling Rotary Laser offers three packages with varying accessories. Please choose from the drop-down menu above. This package includes both laser receiver and remote control. 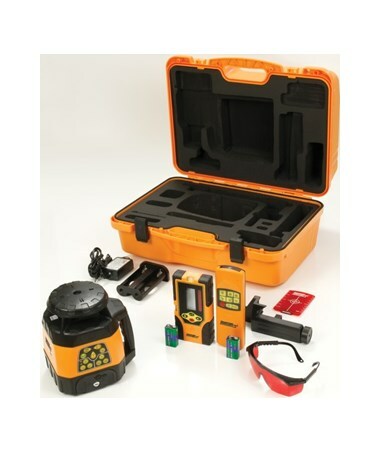 The laser receiver allows the construction professional to work at the lasers maximum range within any visibility limitations. Also, the remote control allows making grade changes up to 200 feet away from the rotary laser. 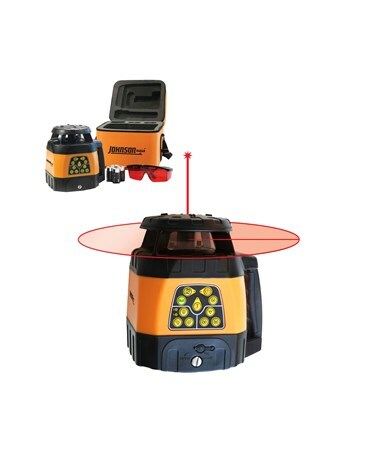 This package includes a laser receiver, remote control and a multi-function mount. This multi-function mount provides fine adjustment for alignment and is attached to a wall or track along with the laser level.